Collects Ms. Marvel (2014) #1-11 and material From All-New Marvel Now! Point One. 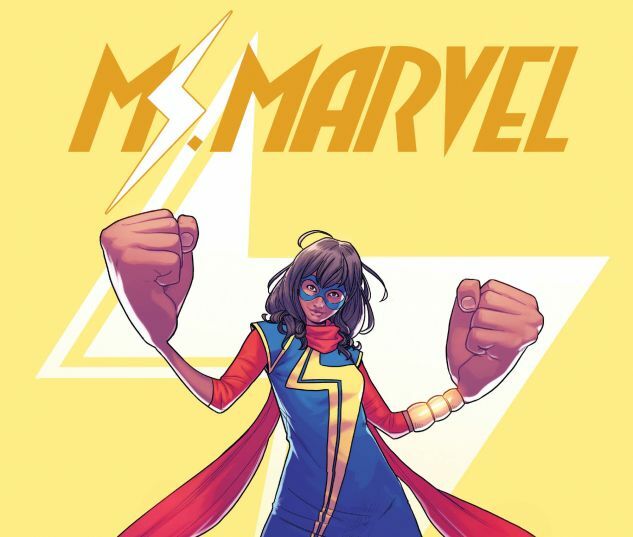 Marvel Comics presents the all-new Ms. Marvel, the groundbreaking heroine who has become an international sensation! 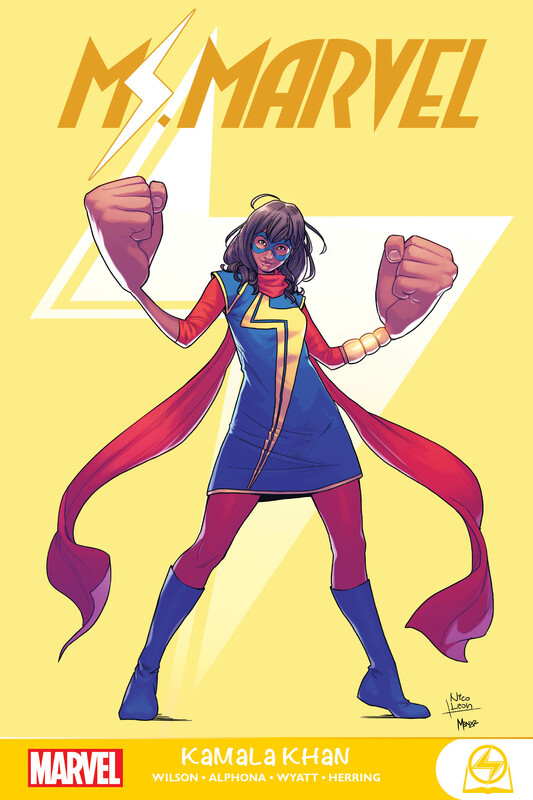 Kamala Khan is an ordinary girl from Jersey City — until she suddenly gains extraordinary gifts. But who is she now? Teenager? Muslim? Inhuman? Kamala explores her newfound powers, but will the weight of the legacy before her be too much? Encounters with the maniacal Inventor and the Inhumans’ Royal Family; team-ups with her favorite hero, Wolverine, and the Inhumans’ dog, Lockjaw — Kamala is living the dream. But as she discovers more about her past, her future is threatened! How long can Ms. Marvel’s life override Kamala’s? Experience the beginning of the fan-favorite, critically acclaimed series!